There’s no book so good that it can’t be improved with a hot beverage and a freshly baked treat! I’m delighted when the weather cools off and my baking sheets come out — that means it’s time for months of cakes, pies, scones, cookies, and breads. Whether you’re a beginning baker who’s just getting started or an experienced cook who’s looking for new recipes to try, these cookbooks should keep you busy with a season’s worth of goodies. If you’re extra-organized, you can even get started on holiday baking and freeze extra batches; I promise to be deeply impressed and not nearly as together. America’s Test Kitchen is near-daily viewing in our household, thanks to their impressive (sometimes obsessive) commitment to a scientific approach to cooking. This comprehensive guide really is like a cooking school in a book: packed with photo-heavy tutorials, reference charts, and technique demonstrations. While there’s much more here than just baking, the chapters on breads, cookies, cakes, and pies should pretty much have you covered. 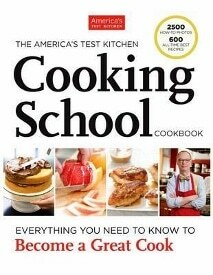 If you’re new to baking and want a little more hand-holding than a standard cookbook offers, America’s Test Kitchen won’t let you down. 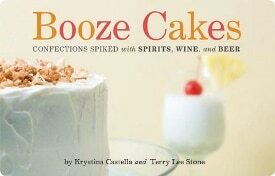 Booze and cake, a match made in heaven! Kindred spirits Krystina Castella and Terry Lee have come up with a wide range of spiked cakes suitable for any occasion. (Maybe not a toddler’s birthday party.) The book has 40-plus recipes with variations, including cakes inspired by cocktails (like the Pina Colada Cake or Mint Julep cupcakes), classic recipes improved with alcohol (like rum-enhanced carrot cake), and single-serving “cake shots.” Most of the alcohol actually bakes out in the oven, but the “booze meter” lets you know exactly how strong each recipe is. 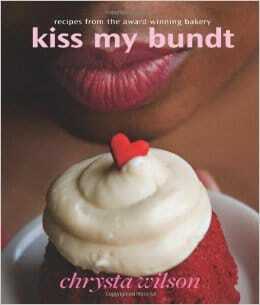 Anyone who’s had a conversation with me about baking knows of my deep and true love for bundt cakes. The classic ring shape looks elegant with a simple icing glaze, and the elaborate novelty pans are so pretty they don’t even need any decoration! (Pro tip: get your novelty pans at the thrift store — frustrated novices often buy fancy ones, use them once, and donate them with cake crumbs still attached.) With 60-plus mix-and-match cake and frosting recipes, this little book really packs a punch. Forget cupcakes — bake these recipes in tiny mini-bundt pans! There aren’t a lot of photos, which is a bummer, but honestly, if you’ve seen one bundt, you’ve kinda seen them all.